The newest addition to the Hilton family and the beautifully tropical Fijian Islands, KORO is scheduled to open on the 26th June 2017. 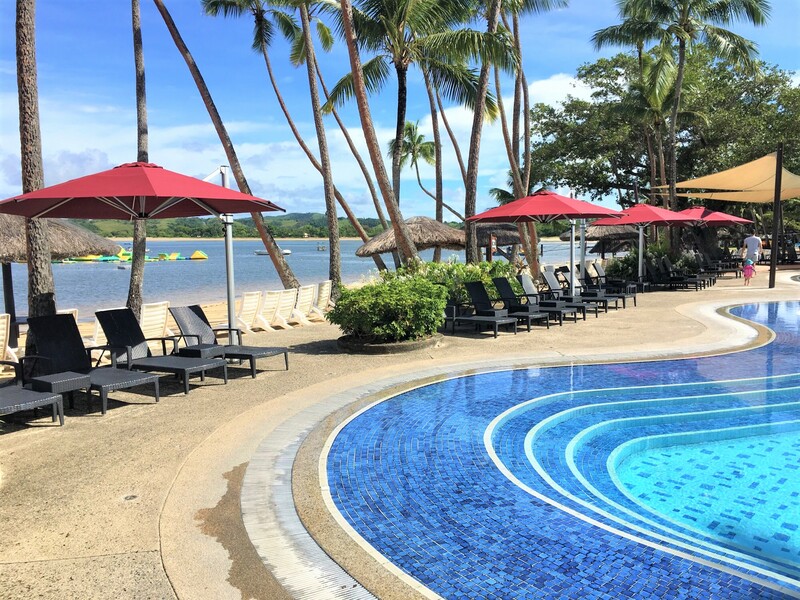 The beachfront entertainment venue is an extension of the Hilton Fiji Beach Resort and Spa located on the island of Denarau. KORO, which means village in Fijian, combines the traditional and authentic culture of native Fiji and the necessities of modern culture to design an environment that offers the “local culture experience” but does so through the comforts of a chilled beverage, unparalleled views, and a comfortable recliner. 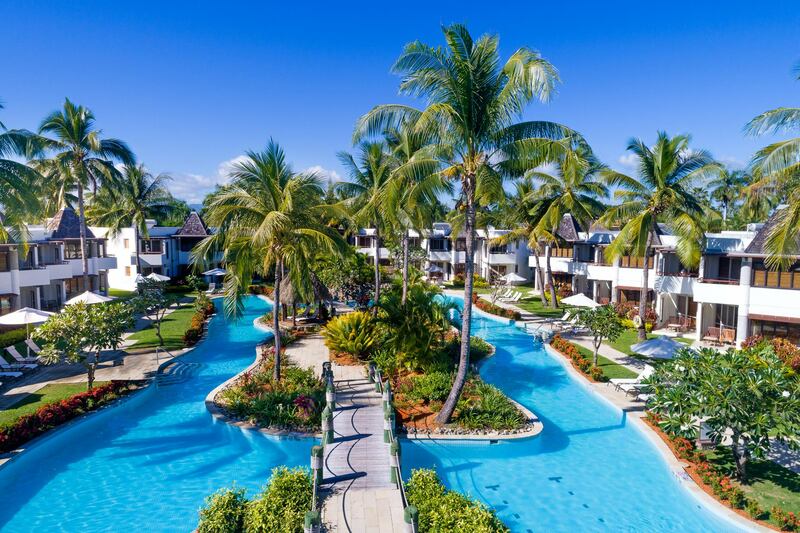 As Shade7 has previously supplied commercial umbrellas to Hilton resorts and hotels throughout New Zealand and the Pacific, the relationship between Shade7 and Hilton Fiji Beach Resort & Spa was one that was natural and further strengthens the Pacific ties of the two pioneering businesses and countries. 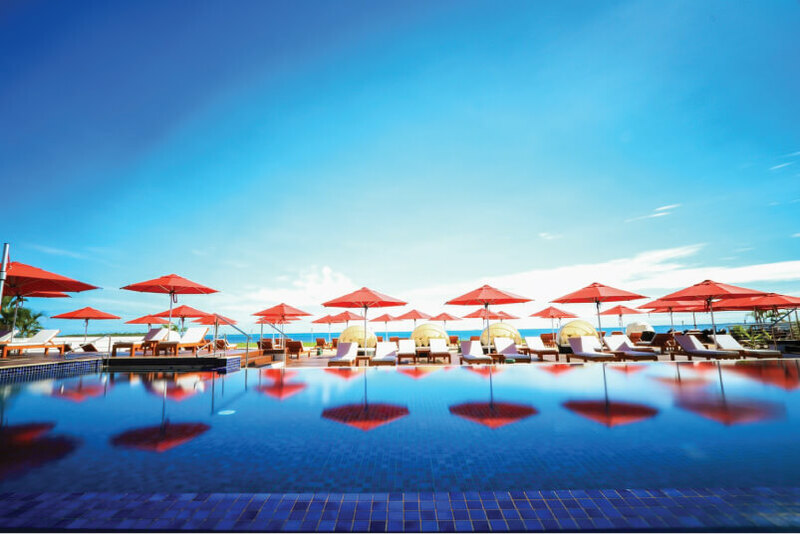 With two pools scaling the beachfront, one being a pool bar, along with a 24 hour dining area, the individual areas demanded different commercial umbrellas to appropriately cover the area. With brand new decking and sand, the installation of a large number of umbrellas was not deemed appropriate nor possible with the sand. 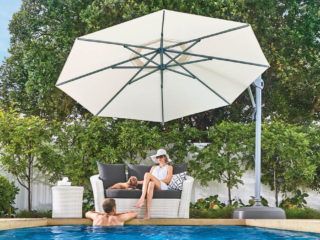 For the pool bar, a flexible option of shading was needed so that if needed, shade could be extended over the seating area within the pool and then moved off and collapsed if not. The 24 hour dining area required a more permanent shading solution of which need to be enduring. 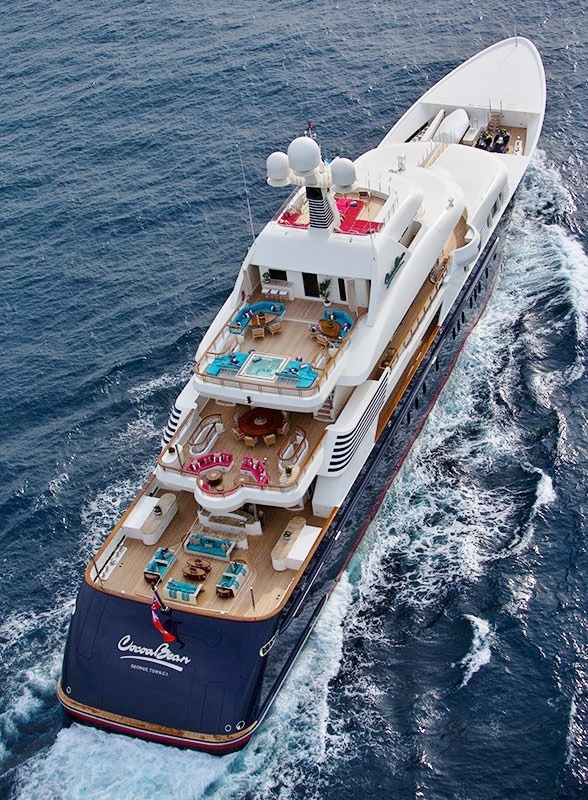 The Monaco, Riviera, and the Tempest outdoor commercial umbrella had been supplied to meet the needs of the customer and their multiple environments. 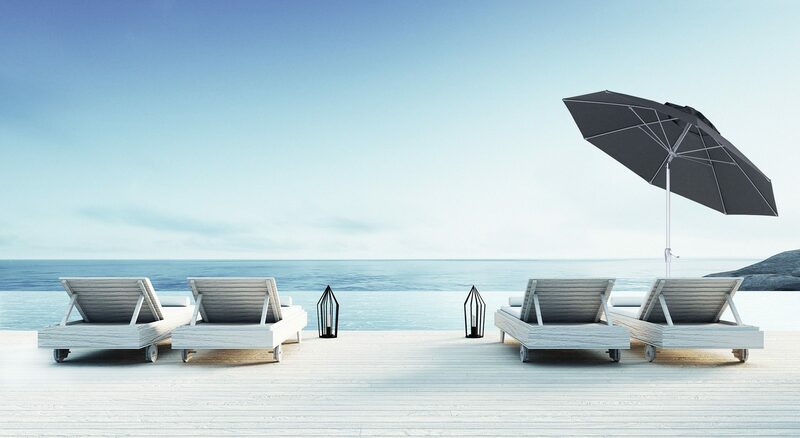 The Monaco outdoor umbrella was used to provide a semi-permanent solution that is stable under the coastal environments and does not require any installation. 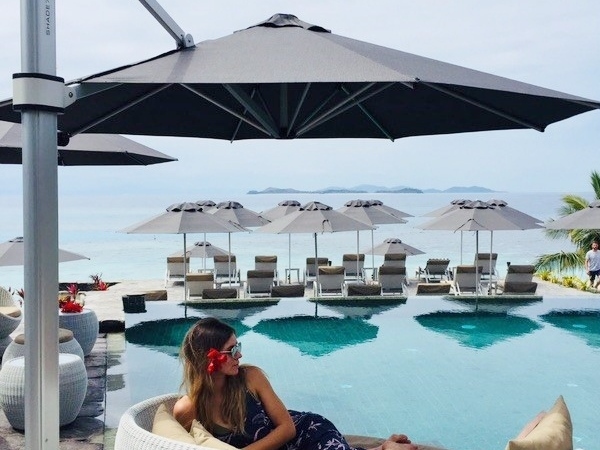 Upon purchasing the Monaco outdoor umbrellas, the Hilton Fiji had ordered 35kg Galvanised Steel bases to accompany the outdoor umbrellas. 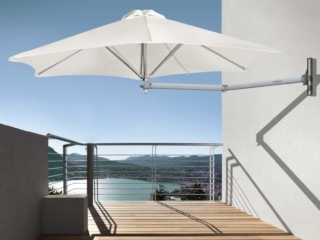 This, along with the 3mm thick anodised aluminium post and arms, presented the Monaco outdoor umbrella as the umbrella for the job. 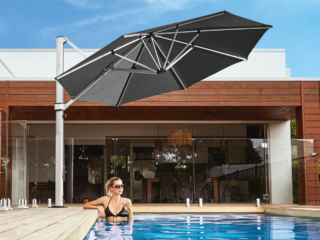 Due to the full rotation of the popular Riviera cantilever umbrella and the easy-to-use winding mechanism, the Riviera umbrella had been supplied as a means to flexibly cover the pool bar. 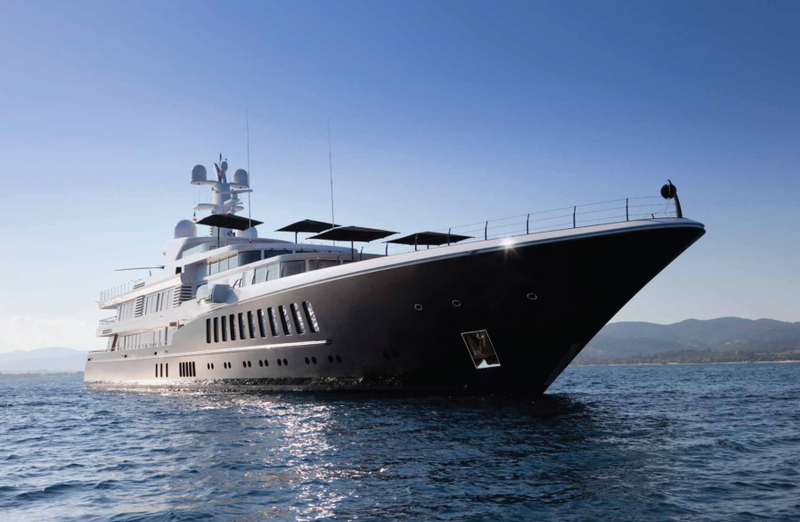 The Rivera’s ability to tilt back towards its mast increases the shading options from the stationary position. 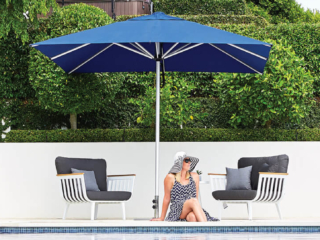 The favoured durability of the cantilever umbrella, as a result of the heavy duty anodised aluminium and stainless steel joinery, provides that the umbrella although capable of being flexible does not compromise on the integrity. The remaining area that needed shading was the 24 hour dining area. This area is exposed and is vulnerable to coastal weathers. 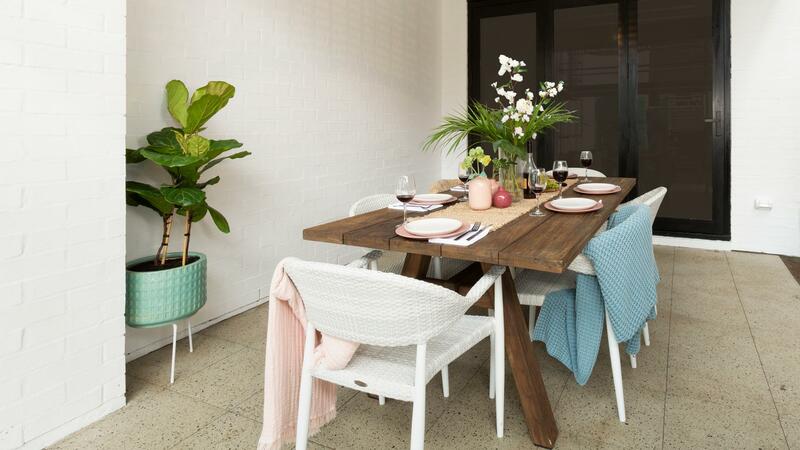 For the entertainment area to boast of the permanency of their dining, the shade covering would need to be enduring and relatively permanent also. 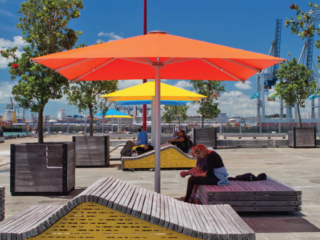 The Tempest commercial umbrella which is supplied and installed within commercial situations like such was deemed the most appropriate option to achieve the task at hand. 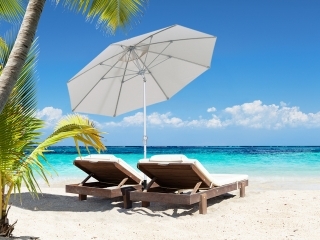 The commercial umbrellas have been engineered to withstand wind gusts up to 80-100kn/hr. The 94mm posts and joint reinforcement allows such durability under extreme conditions. To increase the shade coverage even further and protect resort goers from getting wet, gutters were supplied to fix between the Tempest and provide the permanency desired. 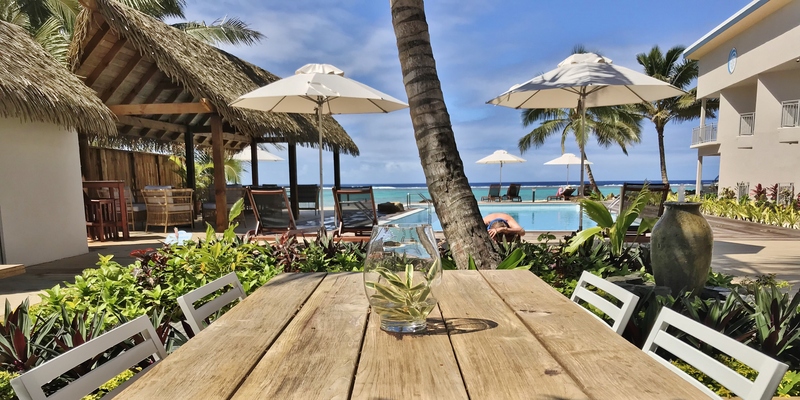 Shade7 continues to solidify their relationship with the Hilton and other wonderful resorts in the Pacific Islands. 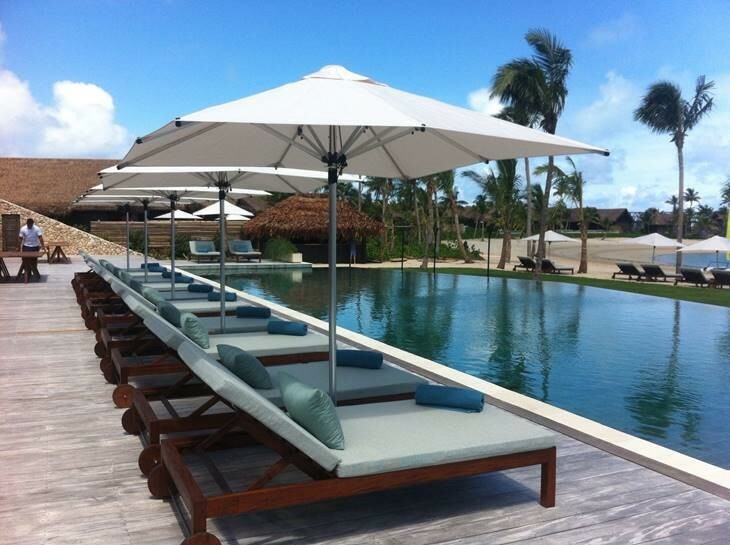 Another new resort that opened this year was the Fiji Marriott Resort Momi Bay which features a range of Shade7’s outdoor commercial umbrellas. 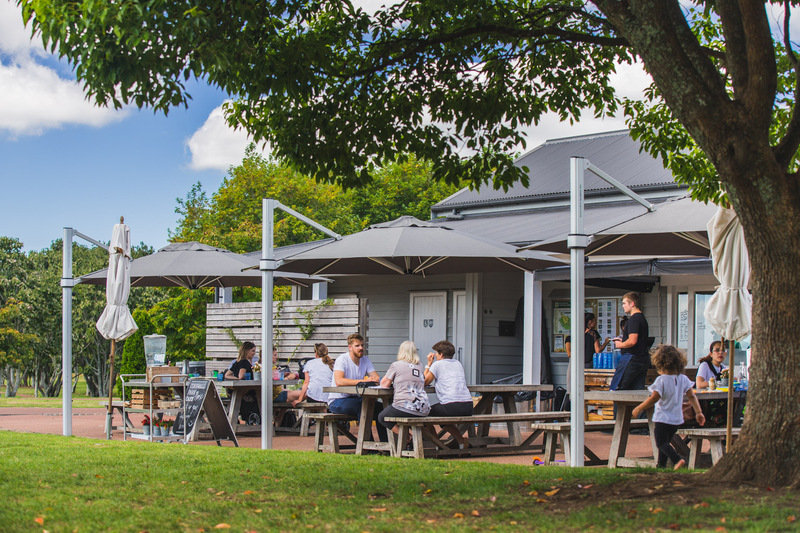 To discuss your commercial umbrella or residential project, simply contact one of the team at Shade7 or visit our Auckland showroom.